There are hundreds of TV channels, but how many do you watch? Do you watch all sorts or tend to stick to the same few? I tend to watch BBC1, BBC2, BBC News, Channel 4, 4 plus 1, and More 4. I occasionally watch Dave and QVC, but not very often. 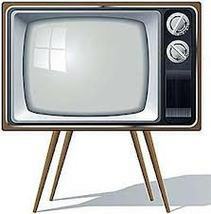 When watching cable television, I usually watch HGTV, a renovation station, or Discovery. I love documentaries or reality TV shows where I learn something as I'm watching. We can only get 7 channels ! What do you think of the return of the Clangers? Are there any cartoons that you are embarrassed to still watch? Do you watch the Discovery Channel?